I am playing in a Christmas card challenge each week so I can have a small stash of cards before December. Merry Monday is looking for Newsprint on a Christmas card. Actually, this was quite fun as I just received a tissue paper roll by Tim Holtz and it had a small print on it. (Don't have any stamps that fit that bill, and I don't receive a newspaper, so this worked out quite well). Along with the curved edge, I die cut two of the ornaments completely from the Newsprint. I also die cut a small part of the top ornament from the same tissue paper. 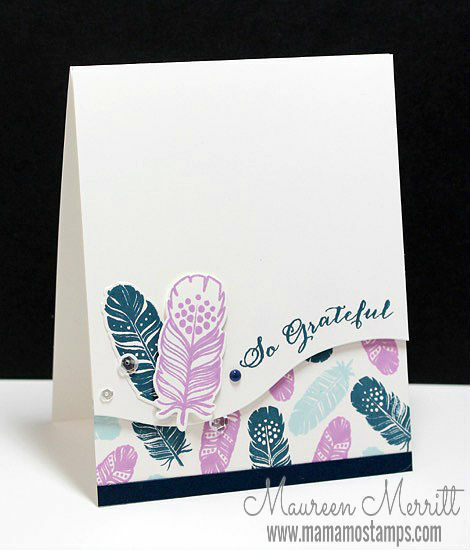 "Sparkle" was die cut three times, stacked then spritzed with Sheer Shimmer Frost as was the top portion of the card front. AWESOME, awesome and more awesome - WHAT an incredible card wishing someone the wonderful sparkle that comes at Christmas - you have captured that feeling so well on this lovely card - SO IMPRESSIVE!!! You are a rock star and I love that I get to see all your works of heART!!! Another genius work of art! It all works together so well .. and now you will be ahead of everyone with Christmas cards made!! Love the design elements on this card. The newsprint ornaments and holly, the glossy touch of red and all that sparkle. Gorgeous. Such a lovely card, and what a great idea to start on Christmas cards now. Thank you for sharing. Penny, this is simply stunning! You have a fantastic eye for detail. 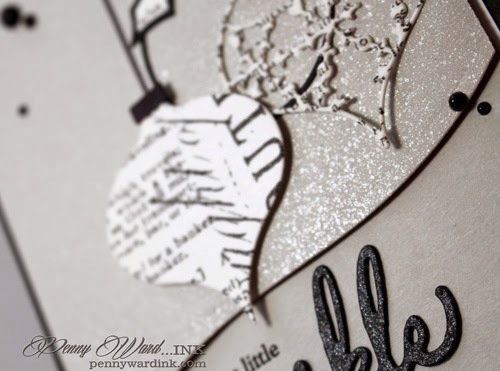 I love the 'newsprint' ornaments and the shiny berries, as well as the gorgeous layout of your card. This is just gorgeous! It jumped out at me from the gallery, love it! Thanks for playing with us this week at Merry Monday! Hi Penny--Unique, creative & wonderful card! This is really stunning. I love how you used the Newsprint on the ornaments and leave. Great job! 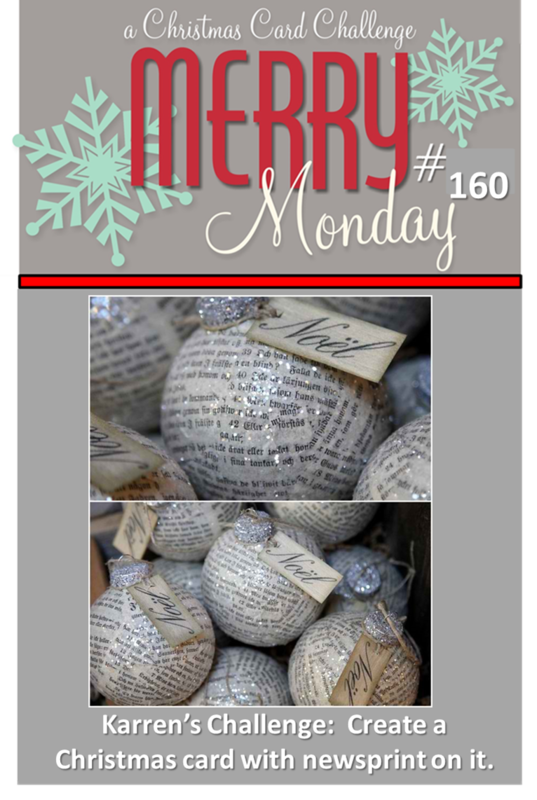 LOVE your newsprint ornaments and that curved edge! Very nice. Thank you for joining us at Merry Monday! This is so pretty!!! Thanks so much for playing along in the WPlus9 TBT Challenge! This is such a gorgeous and elegant card. The ornaments are beautiful! Thanks for playing with us this week at Merry Monday! Awesome Christmas card, love every detail. Thanks for sharing at Merry Monday. 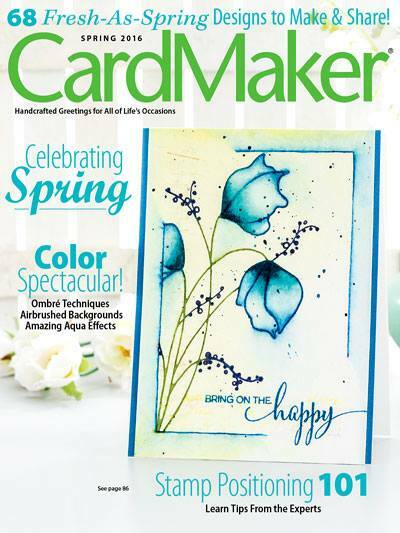 Your card is beautiful and you used the newsprint in a very creative way. Love it! Penny, saw this over on merry Monday. Absolutely brilliant!